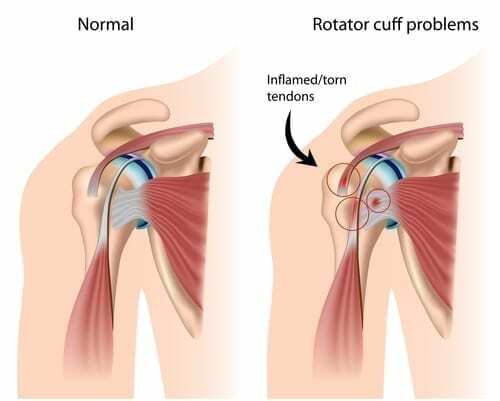 When we look at our shoulder patient population, whether we are dealing with the post-op case, adhesive capsulitis, or other cases where we have capsular restrictions, external rotation (specifically at 90 degrees abduction) is often the most difficult and painful to restore. During external rotation, when the shoulder is in the lower levels of elevation, we have an arthrokinematic roll posteriorly and glide anteriorly, which means our direction of mobilization would be anterior. This can be an effective technique to restore motion, however, many patients do not tolerate this technique due to pain. With these patients, I will prepositioning the shoulder in external rotation at varying degrees of flexion, scaption, or abduction, and will perform a posterior mobilization. Early in the process, I will have the shoulder prepositioned in the 0-45 degree range of flexion (with external rotation), and will progressively move to higher degrees of flexion as pain allows. I will also progress to prepositions in scaption, and finally abduction as pain allows. As we get more toward the frontal plane in abduction, with endrange external rotation, this often becomes a position that is not well tolerated by the patient, but nonetheless, is a functional and important position for many of our patients to acquire. In summary, the progression of preposition from least to most aggressive is as follows: flexion –> scaption–> abduction, and low levels of elevation à 90 degrees of elevation in those respective planes. In the clinic, I can recall countless times that as I go to move into shoulder abduction/external rotation and the beads of sweat form on their face, as soon as I apply the posterior mobilization, they have a sigh of relief… “that’s better” they say. It not only relieves their pain, but I also can move them further into external rotation. What’s going on in the joint that causes this? My opinion is that the abducted/externally rotated position is placing the joint in a vulnerable position. This position puts stress on the anterior capsule as the humeral head attempts to migrate anteriorly. This is what occurs in the apprehension test for instability patients. So maybe the pain relief and improved mobility that occurs with the posterior mobilization is brought on by re-centering the anterior migrated humeral head on the glenoid. This is what occurs in the “relocation” phase of the apprehension-relocation test for instability patients. Though these patients are not unstable, I make the analogies to the apprehension-relocation test, just to make a comparison as to what stresses may be going on in the joint and capsule. I like to know why something is working. I hope this spurs on some thought in how you treat your “stiff shoulders,” and if you haven’t tried posterior mobs in these patients, I hope you will give them a try.